← Bottle Tree is Planted! 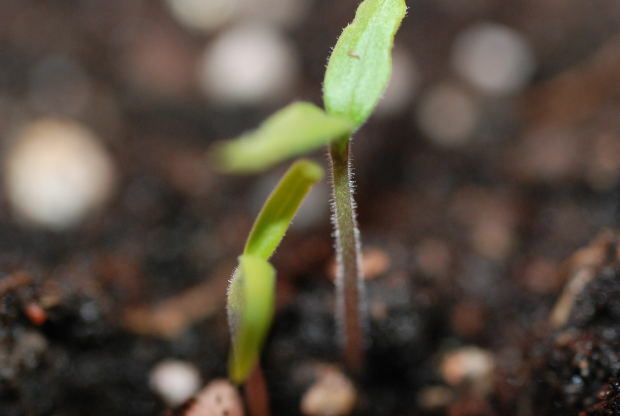 There are few things more glorious than a seedling emerging from the soil. We’ve been starting seeds for decades with great success. We used to set up a low bench in front of a south-facing window and start a few tomatoes and peppers. That operation expanded. Soon we were also starting squash, cukes, eggplants, broccoli, even some flowers indoors. We got a little fancier about it each year, using warming mats, clear plastic sheeting, and grow lights; following all recommendations. Each year we start seeds we’ve saved as well as seeds we buy from reputable companies like Baker Creek Heirloom Seeds and Turtle Tree Seed. (You’re probably aware Monsanto owns the vast majority of seed companies including favorites such as Jung, Park Seeds, Stokes, and Wayside Garden. Burpee buys seeds from Monsanto subsidiary, Seminis. Even eco-friendly Seeds of Change is owned by the candy company Mars, Inc.). We’ve tried all sorts of pots, from egg cartons to black plastic pots saved from nursery plants. One year we made little pots out of newspaper. It’s easy to do, but a few weeks of daily misting and the papers sprouted mold. That didn’t seem to hurt the seedlings at all, but our sinuses weren’t happy. Some seeds we start late in March, others not till mid-April. While wind, rain, and snow make our garden outdoor suited for only the earliest of plants, our little indoor plants flourish in cradles of dirt under benevolent artificial suns. That is, until we bought online a huge supply of NK Seed Starter Pots sold by Plantation Products. An entire gross of multipacks. Last spring we planted some seeds in these pots while using up other peat pots we’d bought locally. Quite a few seeds didn’t germinate, a first for us. We weren’t sure why. We thought that since NK pots are thicker and sturdier than other peat pots that we should water more or cover them longer, but none of those efforts worked. We ended up buying a few dozen tomato and pepper plants from a family not far from us. Disappointing. This year we planted all our seeds in NK pots. Again, they were kept on warming mats under carefully calibrated grow lights. I imagined them awakening each day as I carefully tended (and yes, chatted with) those seeds. Instead we were shocked by a 95% non-germination rate. The few seedlings that emerged died within days. Okay, we thought. Let’s solve this. The pots are not too dry or wet, the light is not too low or high, the seeds are ones we saved or from reputable growers. What factors could be in play here? We sterilized our seed starter potting soil (not a fun process) in case our soil harbored some evil dampening off virus, then replanted. Another week or so and again only a few seedlings emerged only to die. It didn’t occur to us that the only variable was the pots themselves until we read a NYT article about a class of chemicals known as poly- and perfluoroalkyl substances, or PFASs, the same ones that help pizza boxes stand up to moisture without breaking down. PFASs are now implicated in health problems including cancer. I don’t know if the NK Seed Starter Pots contained PFASs, but we realized something about those pots must be toxic. Coincidentally, I found several of last year’s discarded pots outside our barn. They’d been lying there exposed to 12 months of rain, snow, and mud. They were not even remotely decomposed, simply discolored. That’s odd, because right on the package growers are told to “plant pot and all.” No way could roots get through those stiff, unyielding pots. I say that’s not possible. I emailed the NK Lawn & Garden people. I asked what “organic recycled materials” are used to make these pots. I offered to send them the dozens of unused pots of theirs we still have in their packages so they could test them for toxins and pathogens. They replied the same day, offering to send different pots they produce. Nothing can refund the time, money, and disappointment of having none of our own seedlings to transplant into the garden. No Dragon’s Egg cucumbers, Black Hungarian peppers, Rosita eggplant, Red Kuri squash, Jersey Devil tomatoes, or Cherokee Purple tomatoes. Thank goodness the seeds I planted outdoors are up and growing heartily (so are the weeds). The peas are flowering and the broccoli is knee-high in places. Carrots, kale, chard, squash, rutabaga, cilantro, sunflowers, and corn are flourishing. Next year we’ll go back to using old nursery pots we’ve saved. But if you’ve had problems germinating seeds indoors, consider peat pots as a possible villain. 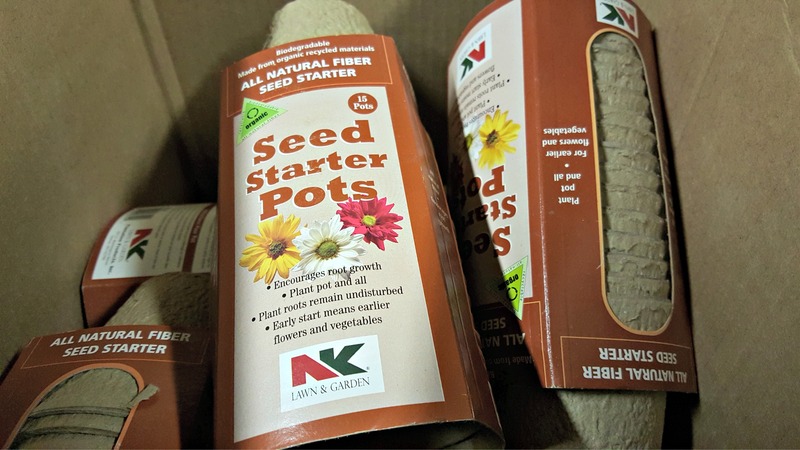 This entry was posted in gardening, seed starting, seeds, spring and tagged gardening, germination problems, NK Seed Starter Pots, problem starting seeds indoors, seeds, spring, starting seeds indoors. Bookmark the permalink. Thanks for the reminder – we don’t use these pots to start seedlings,but each year we’re tempted. We use toilet paper roll innards cut in half, set on a tray, but now I’m wondering if that cardboard might have something icky in it? Geez, is there anything we don’t have to worry about? Thanks for keeping us up-to-date, and hope your garden flourishes like mad. I’m sure it will! I’m not opposed to paper products, in general, around plants. I put down newspapers and cut-open feed bags to mulch my gardens. Let’s hope TP tubes are safe. What company openly admits fault unless they have no other options? It sure looks like someone ignored your email! I contacted them also and they told me that mine was the first they had heard about this and have also offered to send me a different product, as well as replace the seeds! It’s too late to start seeds here! My plants should have been producing flowers by now. My grandson is SO upset that ‘his’ plants have died or are dying. Glad you contacted them Kathleen. They can’t keep telling all of us that they’re surprised by our complaints! Yikes! Thank you for sharing. I have used Jiffy peat pots for years with great success. Thanks – I will stay away from NK. I see Jiffy pot also offers an organic version. This year I used a starter “kit” that included a black bottom and clear plastic shell top. It came with 74 little disks of soil. Once you water everything, the soil expands to about 1.5+ inches tall. I only had a 25% germination rate and a bunch of those dies. I think I may keep the plastic shell but will never use those little disks again. Last year I used toilet paper rolls and had great success. I will use them again next year. I know it is not the peat pots of your article but still something for convenience that did not work well. Remember to let the company know! Thanks, didn’t think of that. When I complained, the folks at Plantation Products, maker of these NK Lawn & Garden pots responded, “Those have been a very popular item for us going over 10+ years now and we rarely hear any negative feedback on them.” All of who have had bad experiences with these pots need to complain! I save my little boxes from mushrooms and plant in those. Very seldom have to transplant. Why not try Cowpots from Freund’s Farm Market, East Canaan, CT 06024? If they’re not too expensive, I’ll give them a try. Thanks Nancy. I bought these this year and everything died that I tried growing, I feel horrible because I shared my leftover pots with my son’s class at school…my son’s green onions grew to 3″ tall and were thin as a string. i feel so much better after reading this! Had only marginal success this first year of starting seeds indoors. Used NK product. Seeds planted directly in the ground did just fine. Won’t be using those again! 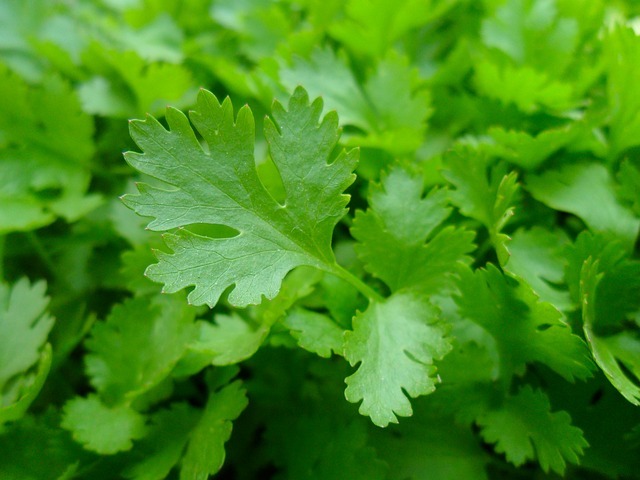 I feel better after reading this – I thought I’d forgotten how to grow my own plants! I’m 79 and have been gardening all my life (helped my mother at first). I thought I was smart to use the “plant pot & all” peat pots, but had bad luck — I’m going back to the wood seed flats my husband makes, and if seedlings need moved to pots, I’ll use the old red clay pots my mother bought when she got her greenhouse in 1946 (I have those AND I have the greenhouse, now attached adjacent to our dining area). Oooh Sue, I’m envious of your wooden seed flats, old (surely sturdier) clay pots, and most of all a greenhouse! I had not heard this (and fortunately we don’t use those products). You’re doing a good service by putting this information out there. Me too. I’m going back to using them as I used to. Usually start seeds in burped plastic trays with seed starting soil.tried organic type this fall,planted ten different varieties of veggies,not one sprouted under grow lights.never had this happen before.used jiffy mix organic. I’m guessing it’s not you Ken, something is different about the seeds or soil. Laura, this is my first attempt at growing a vegetable garden. It’s a fall garden. I used the starter pots with the dirt disks. I did not have great success with them. Out of 16 plants I got 4-6 plants. all the others did not come up. My bean plants are coming along but no beans yet. Tomatoes have not produced fruit yet. I have one green bell pepper. this has been a great experience. learning a lot. thank you for sharing about starter plants. Very helpful. Wishing you better luck with your next attempts Betty! Nk now bought Jiffy and the superior Jiffy products are becoming unavailable. 😦 I used Jiffy seed starter pellets for several years with a 95% germ rate except on stupporn seeds like lavendar. I plant hundreds of plants each year. This year I got one box of jiffy before being forced to switch to nk. Bad germ rate, poor quality control, and many of the pellets were broken and unusable 😦 I’m very disappointed, and letting NK hear about it on every possible forum, besides direct contact. Thanks for the background on this. It all makes a little more sense now. Wow, so it’s the starting mix too. Thanks for sharing your (dire) experience. I wish more people knew about this! I started peppers in 6packs, then transplanted into peat pots, they are stunted, and look like they aren’t going to pull through. Grr, thx for this info. Sorry to hear this Rhonna. I wish more people knew about this, it’s probably turning a lot of people off from gardening.